This tour is currently not being offered! A detailed itinerary of our two day Monument Valley/Grand Canyon/Antelope Canyon ground tour can be found here, the cost can be seen here, the dates are here, and the tour can be ordered online here. If you would prefer a longer stay, we also offer a number of three day tours from Las Vegas, as well as a five day tour from Las Vegas to Salt Lake City. Average number of people on these tours last year was only seven. Unlike the one day Monument Valley Grand Canyon air/ground tour, your Monument Valley tour is 3 1/2 hours long (air/ground tour is only 90 minutes) and even visits the restricted area, where non Navajos can't go by themselves! 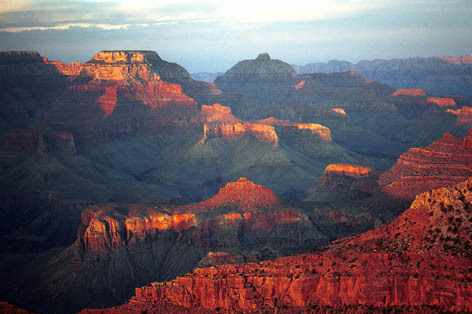 You spend at least three hours at the Grand Canyon (air/ground tour only spends 15 minutes), and we take you to places that even the one day Grand Canyon bus tours do not go to. 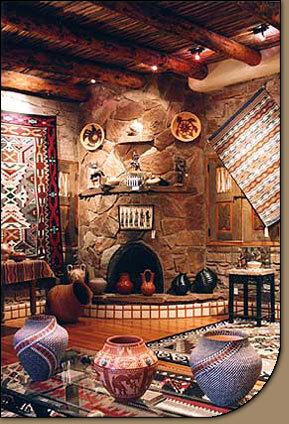 Opportunity to interact with members of the Navajo Nation, and experience Navajo culture. 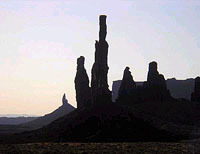 Monument Valley and Antelope Canyon are both on Navajo country, as is much of the land between the two. Your Monument Valley tour will depart Las Vegas at about 6.15 a.m. 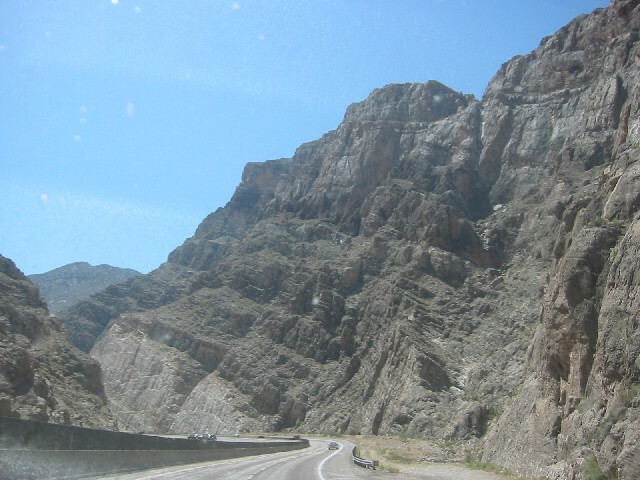 The route out of Vegas will take you north, across a little strip of Arizona, and up the picturesque Virgin River Gorge, into Utah. Passing through St. George in southern Utah, you'll cross back into Arizona, past the twin polygamous towns of Hilldale and Colorado City, where the men still have multiple wives! The road travels through the sagebrush deserts of northern Utah, jutting into Grand-Staircase Escalante National Monument, to the small town of Kanab, on the Utah Arizona border. 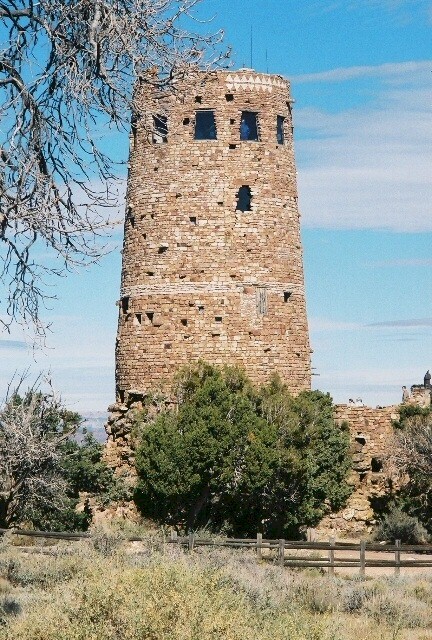 Many western movies have been shot in Kanab, where much of the scenery still looks like the Old West. 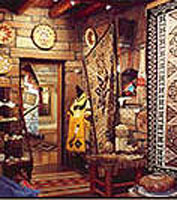 There will be a short stop at Kanab, to enable you to stretch your legs, grab a bite to eat, and perhaps buy some southwestern and native American souvenirs. 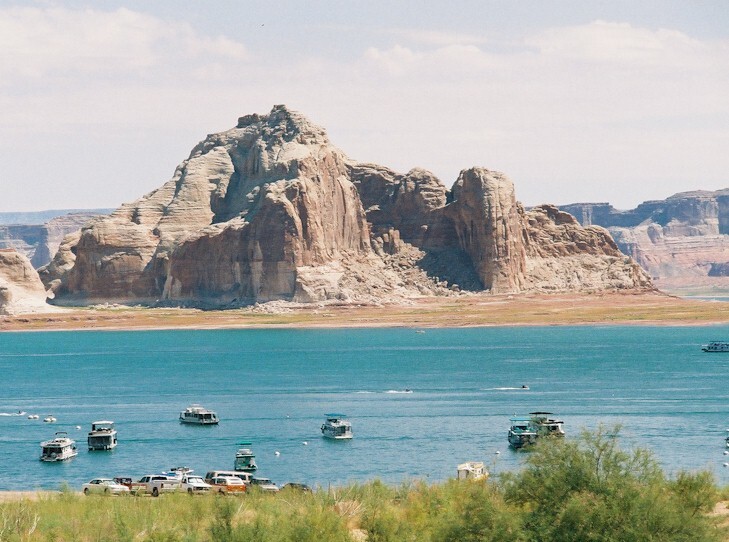 The road to Page is a pretty one, and you will have the opportunity to stop and take a look at Lake Powell and the Glen Canyon Dam Wall. 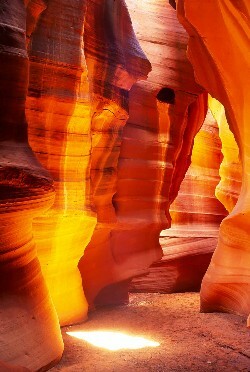 At Page you will be taken for an off road tour of Antelope Canyon. Antelope Canyon is one of the most striking slot canyons known to man. A slot canyon is a narrow canyon sliced through a mesa by the forces of nature. 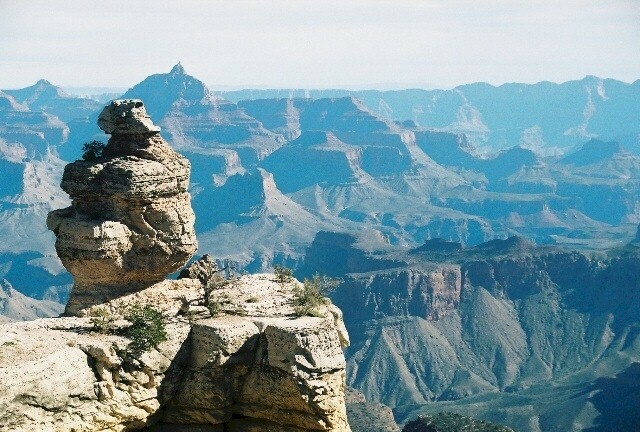 Some canyons measure less than a yard across at the top, but drop a hundred feet or more from the rim to the bottom. 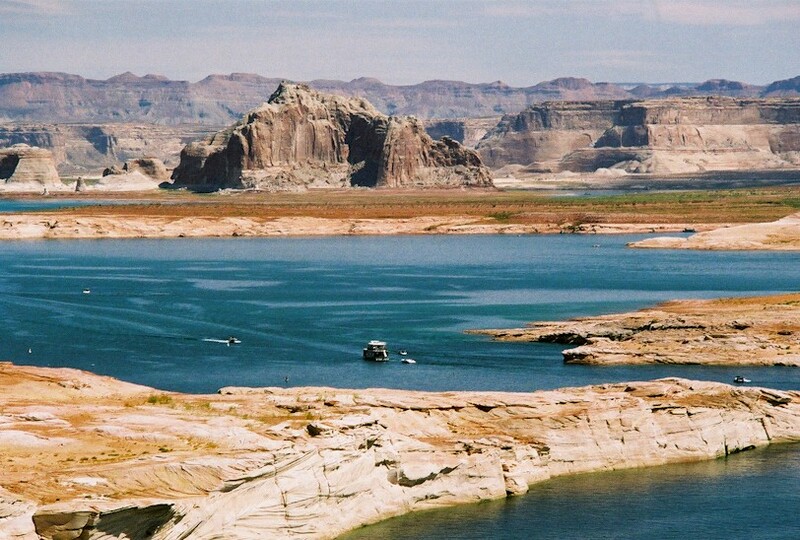 Slots are cut and scoured by water and wind, with the striations of the sandstone becoming almost incandescent. From within you will see a palette of colors transmuted by light filtering down from above and bouncing from wall to wall. 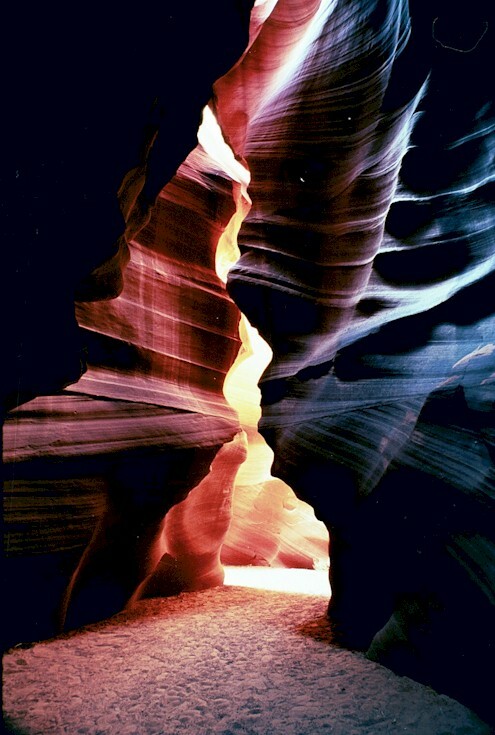 Antelope Canyon can only be visited using the services of an authorized Navajo Nation guide. 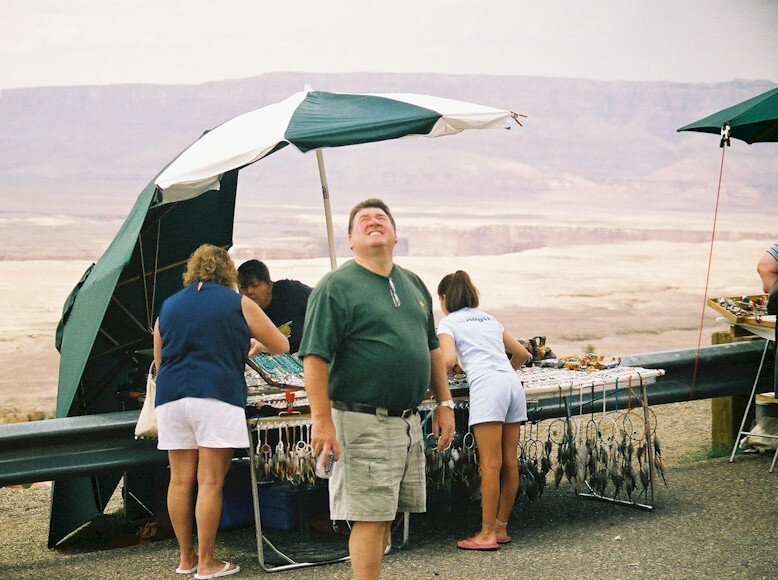 While you're seeing Antelope Canyon, our guide will pick up some sack lunches for you to eat on the way. 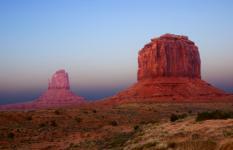 You'll be picked up just outside Antelope Canyon, a short distance to the east of Page, and travel to Monument Valley. 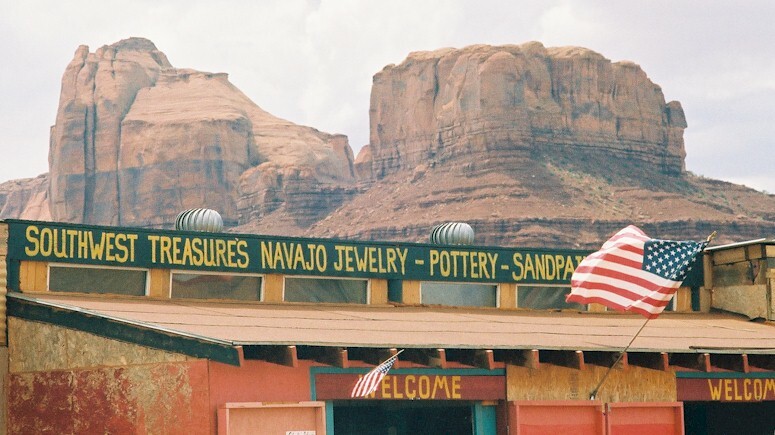 We'll be going over Navajo Nation land, and, depending on the time of the year, there may be quite a few Indian roadside stands open, where you can do some shopping for Navajo jewelry and souvenirs. 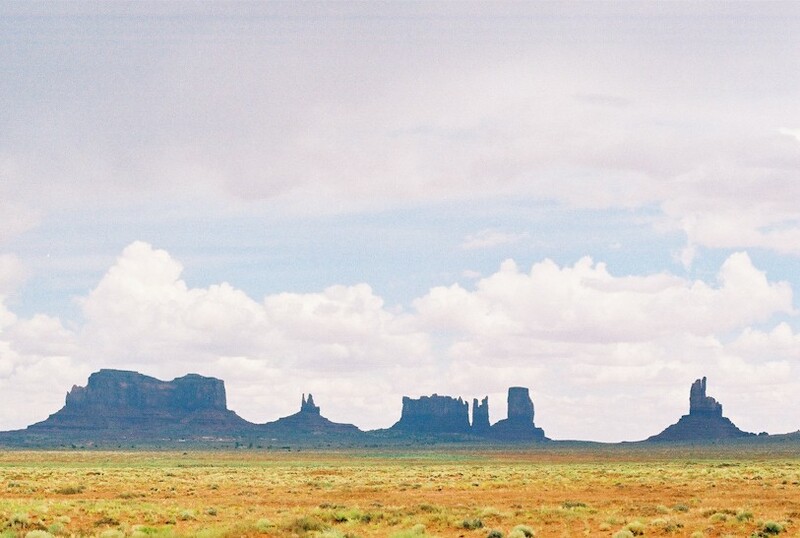 As you get closer to Monument Valley Navajo Tribal Park, you will start to see some of the buttes and mesas for which the area is world famous. It is time for the highlight of the trip, a tour of Monument Valley, lasting approximately 3 1/2 hours, conducted by a Navajo guide. 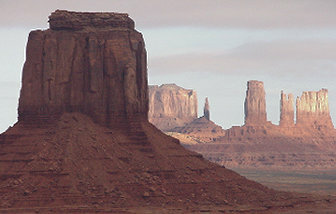 Visitors love to see the buttes, mesas and other sandstone formations that are so prevalent in the Monument Valley area. 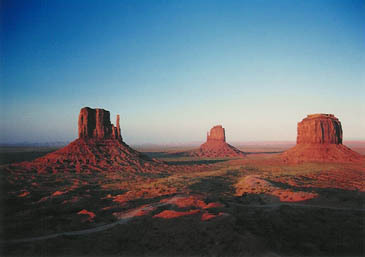 Monument Valley is actually not really a valley at all, but a relatively flat plain surrounded by red cliffs, with the buttes, as well as the remnants of ancient volcanoes, towering from the earth. Amongst the sites that your tour will take in are Anasazi ruins, petroglyphs, movie locations, 1000 foot monoliths, rug weaving and Indian hogans. All the famous monuments are visited, as well as the restricted area, which contains many rock windows and arches of unique shapes. 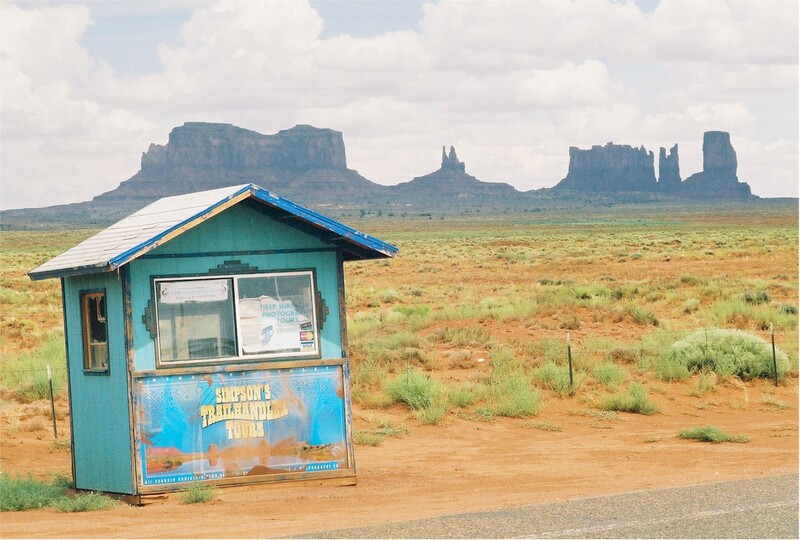 At the gateway to the park is a section of road with little huts on both sides, where you can shop for Navajo souvenirs, and sample Navajo Tacos and fry bread, foods that are unique to the Navajo Nation. You may be wondering why we do not stay in Monument Valley tonight. Fair question, and the reason is that the closest town, Kayenta, only has three motels. They can charge what they like, and they do. If we stayed there, this would push up the cost of the tour by about $70 per person. Instead, we'll give you the opportunity to explore some more of the Wild West, as we travel to Cameron, a small trading post and lodge. 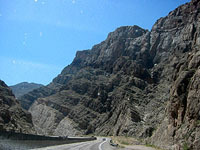 90 We'll drive from Cameron to the east entrance of the Grand Canyon. Two Grand Canyon About three hours This entrance to the Grand Canyon is a part of the Canyon that most people will not see, and it is deserted compared to the rest of the South Rim. 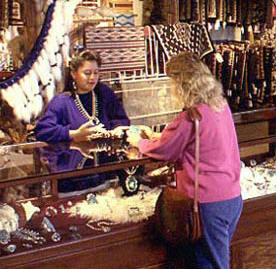 The one day tours from Las Vegas use the south entrance, and do not get anywhere near where we will be taking you. There will be many stops to take in the amazing views of one of the seven wonders of the world. 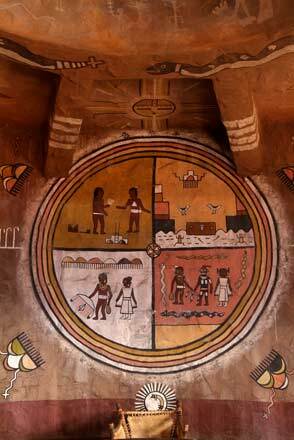 The Desert View Watchtower, designed by legendary architect Mary Colter, has a great display of Hopi artwork. 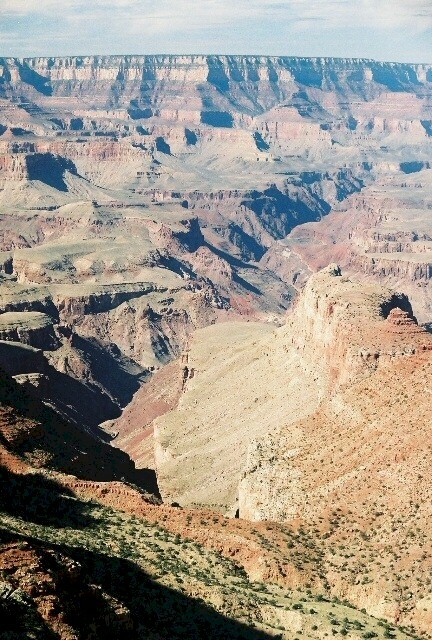 The road from the east entrance takes us past many view points of the Grand Canyon, towards the Visitors' Center, where we will stop for a short while. Next up is Bright Angel Lodge, where all the tourist facilities are located. You will have an opportunity to grab a bite to eat, and so some more shopping, if you're not already shopped out! 442 It's time to return to Las Vegas. Security measures permitting, we may go back via Hoover Dam and Lake Mead, and stop there for a few minutes to take some pictures, before ending the tour in Vegas. Thanks for joining us! If you are looking to see some more of the southwest or Yellowstone, please check out the links to our other tours at the top of this page. Entry fees to the Grand Canyon, Monument Valley and Antelope Canyon are included. One night's accommodation is included. The lodging is in the moderate category - clean and comfortable, but not fancy. Examples of the different motels we use can be seen here. Prices are based on double occupancy. A single surcharge of $56 is applicable, or we can try and match singles. Depending on the number of guests, the type of vehicle to be used is likely to be a mini bus, a large SUV, a coach or an executive van. Meals are excluded unless specifically mentioned above. A minimum of two people may be required for a tour to depart. 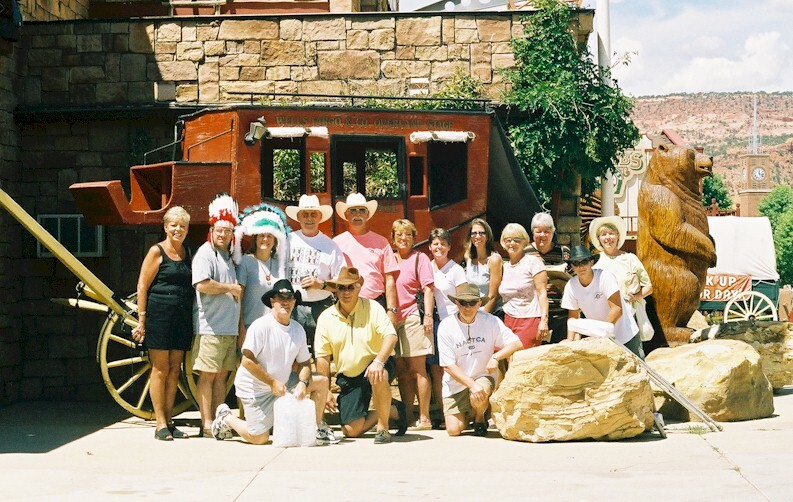 In addition, you must book the tour giving us enough notice to try and get a group together. If, for example, on the 1st April you book a tour for the 15th April, and there is no-one else booked for that date, we would not start a tour just for you. It is safer to contact us to ensure that the tour is going. The cost of this tour is $410 per person. An additional $12 per person fuel surcharge is currently in effect until further notice. Details on paying for this tour, and our cancellation policy, can be found here. Please call us at 1 800 724 7767 or (USA) 435 658 2227, or mail us, for additional information, or to make a reservation. Tour dates can be seen here. You can book this tour online here. While we would rather you not make a booking until you are sure you want to go, you are welcome to cancel the booking any time up until 31 days prior to the start of the tour, and you will get a full refund. After that time, we will not accept a cancellation and you will have to pay for the tour in full. Trip insurance is available. Half the cost of the tour will be charged to your card any time from 31 days prior to the start of the tour, and the balance will be charged any time from 7 days prior to the start of the tour. For additional information, please mail us, or call us at 1 800 724 7767 or (USA) 435 658 2227. You can book this tour online here. Please contact us if there are more than eight in your group as you will get a discounted group rate. Kindly also contact us if you would like to sleep more than two people in each room, as there will be a lower price. When you order below, all prices include a $12 fuel surcharge, as well as any applicable single person surcharge.